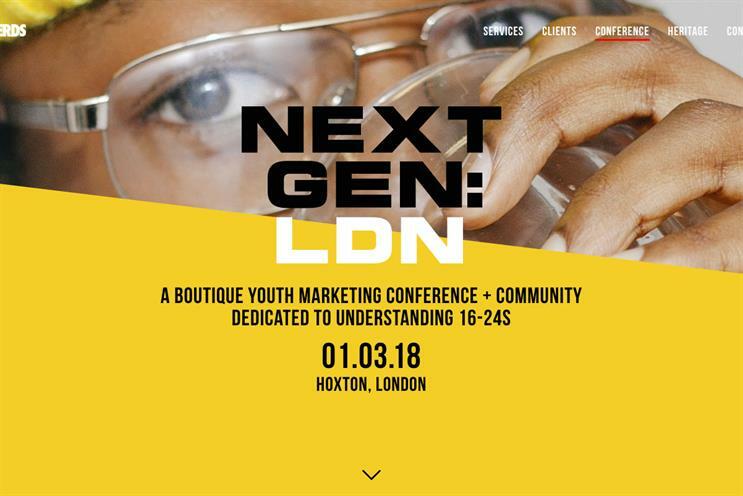 Urban Nerds, the youth and culture marketing agency, is set to hold a not-for-profit event in March to inspire the next generation of brand marketers. The NextGen conference will welcome an audience of 80 marketers, focussing on Generation Z as a key source of insight and innovation. Any net-profit generated from ticket sales will be pooled as a cultural bursary made available to the audience, through a project proposal-based process after the event. The programme will include a series of talks with Gen-Z cultural leaders and a panel discussion with global brand marketers giving a brand perspective and some case study context to the insights raised. Urban Nerds partner Brett Booth explained: "One or multiple NextGen participants will be granted a share of the cultural bursary to further a passion project of their choosing. "Our thinking is that through the sharing of updates on the bursary project(s) following the NextGen day we can keep our most engaged members of the brand marketer network in touch with real cultural endeavours at the forefront of youth culture that they are personally responsible for." Urban Nerds recently delivered a sports hub for Puma as part of the brand's #DoYou sports campaign.